Like the growth council, this project is a public-private partnership stemming from the exploration of a best business model allowing for municipal investment and input while leveraging the strengths and expertise of private sector for-profit business. The growth council recognizes the collaboration of the public private partnership as the best means to accomplish the City’s economic development strategies. 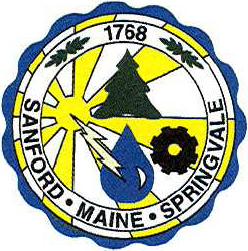 The new network is also the first major loop in Maine that will connect to the state’s existing Three Ring Binder network. Constructed in 2012, the middle-mile Three Ring Binder spans 1,100 miles around much of Maine. The network was a product of private investments and $25 million in stimulus money from the 2009 American Recovery and Reinvestment Act. According to a study commissioned by the Economic Growth Council, the network could generate between $47 million and $192 million in economic benefits over the next decade. The Economic Growth Council and the the city are still seeking funding to build the network, estimated at $1.5 million. The city expects to cover costs through agreements they’re pursuing with anchor institutions and savings they'll see by eliminating the cost of leasing lines to city government buildings and schools. A small number of municipal broadband projects have been funded with TIF, but this arrangement can be controversial as it removes substantial property value from the general taxbase. Most choose revenue bonds, interdepartmental loans, or by redirecting savings gained when city can build incrementally thereby avoiding payments for leasing lines from providers. Fortunately, Maine remains one of the states where local communities have the freedom to choose whether or not they invest in Internet networks and how they finance such a project.